Observation - Bird: oil spill - UK and Ireland. Description: Dead bird after recent oil spill. Yorkshire Wildlife informed. 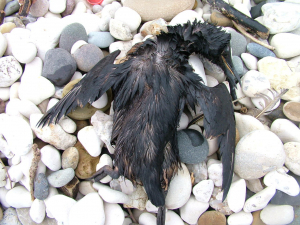 Dead bird after recent oil spill. Yorkshire Wildlife informed.